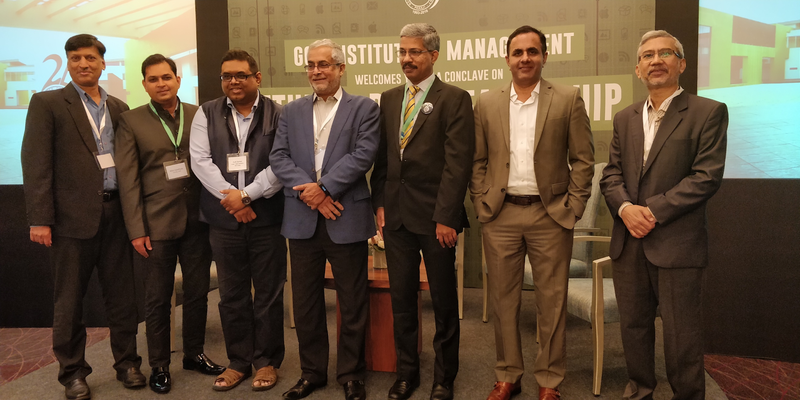 In the 25th year of its existence, Goa Institute of Management in keeping with its philosophy of espousing Principle-Centred Leadership, organized a conclave on Ethical Data Leadership in Bengaluru. The event was well attended by thought leaders and alumni from the field of analytics, big data and information technology. The event featured a keynote speech by Bhaskar Pramanik, former Chairperson of Microsoft India, and a panel discussion with Dr. Avik Sarkar, an Officer on Special Duty at NITI Aayog, Prof Rahul De, Hewlett-Packard Chair Professor in ICT for Sustainable Economic Development at IIM Bangalore, Mr. Anoop Nambiar, Partner with Deloitte Touché Tohmatsu India LLP, Narasimha Murthy, Vice President of Cartesian Consulting, and Dr. Nitin Upadhyay, Chair and Head Centre of Innovation, Member Big Data Analytics Goa Institute of Management. Pramanik shared his deep insights about science fiction predicting the technology we are now witnessing around us today highlighting how writers right from Aldous Huxley in the sixties to Harari today have brought into focus the ethical dimensions that these revolutions will or are throwing up. Every advance in technology raises more questions on ethics. He emphasized that with these advancements there will be a greater need for technologists to understand humanities and for humanists to appreciate technologies that are evolving today. The panelists also raised important points on the provenance of data, the need for human judgment overriding artificial intelligence, taking a 360-degree view of customers as well as the emerging imperatives on technology by way of better confidentiality, integrity and availability of the data that has proliferated. Goa Institute of Management through such events as these intend to continue to place important debates on Ethics and Leadership in front of industry and academia, helping form opinion and direct thought to this ever-challenging issue.